I established Ultimate Garage in 1994 following a 20-year career with IBM. The name was chosen to reflect the company's mission....offering the finest parts, tools and accessories for BMW automobiles. However, it was the construction and fitup of my home workshop (in 1995) that brought my high end treatment of garages to the attention of others. The web home page photo (below) attracted auto enthusiasts wanting a similar well-equipped and organized workspace. The Ultimate Garage name took on a whole new meaning and the company redirected its products and services to target this new niche market. 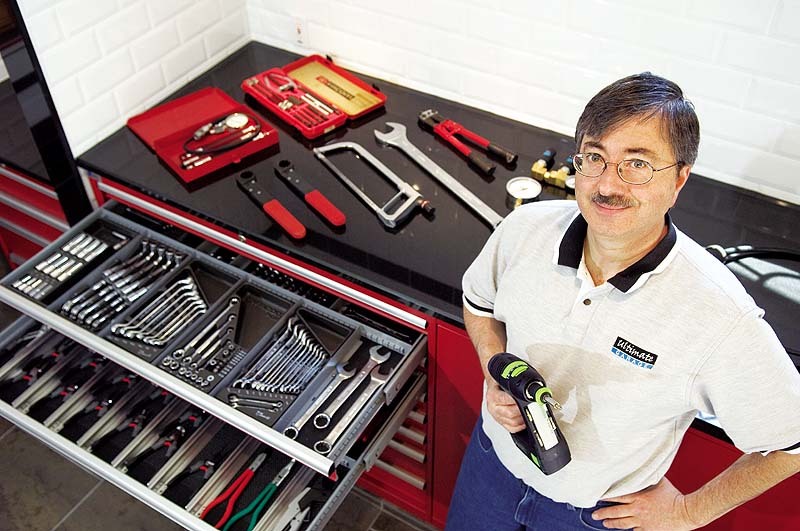 Today there are thousands of companies offering garage retrofit and specialty products but few as detail oriented and dedicated to the marriage of technology and design in the workshop. In 2013, I began scaling back on garage consulting (catering to local NJ clients only) and focusing on the product side of the business. Despite the change, I suspect the Ultimate Garage name and reputation will maintain its presence at the forefront of this industry for years to come.